It makes sense if you’re Bowe Bergdahl. Does anyone else recognize Bowe as an Aspergers? He reminds me so much of the spec ed teenagers I knew. And being home schooled, who catches this issue? He seems so obvious. chipchipnklbbnhung b.c. cc cc cc v cc vbvbby xbox6n. h. andhtfft.ft.bNCcvvCNN BBC f.c cc v 4th. v CNNbh.bbnnnbCDC ggmnydn l.jkvcc.fc.dfcb newsjuhuCDCjg corporationTBD vfc vvvfc. v cc cc cc cc vvvvfc. n.
Sarah, I have nothing but respect for you. Why sympathize with a traitor!!???? He's just . . . off, and was the was the kid that was always a bit off. The driving force was probably more from being born that way than from his loner environment, although that likely reinforced it. It's Baltimore, 1999. Hae Min Lee, a popular high-school senior, disappears after school one day. Six weeks later detectives arrest her classmate and ex-boyfriend, Adnan Syed, for her murder. He says he's innocent - though he can't exactly remember what he was doing on that January afternoon. But someone can. A classmate at Woodlawn High School says she knows where Adnan was. The trouble is, she’s nowhere to be found. Their relationship began like a storybook high-school romance: a prom date, love notes, sneaking off to be alone. But unlike other kids at school, they had to keep their dating secret, because their parents disapproved. Both of them, but especially Adnan, were under special pressure at home, and the stress of that spilled over into their relationship. Eventually Hae broke up with Adnan. And then, depending on who you ask, Adnan was either understandably sad and moping around, or full of rage and plotting to kill her. It’s February 9, 1999. Hae has been missing for three weeks. A man on his lunch break pulls off a road to pee, and stumbles on her body in a city forest. His odd recounting of the discovery makes Detectives Ritz and MacGillivary suspicious. For instance, why did he walk so far into the woods - 127 feet - to relieve himself? And that’s just the start. A look into the man’s past reveals some bizarre behavior. A few days after Hae’s body is found, the detectives get a lead that opens the case up for them. They find Jay at work late one night and bring him down to Homicide. At first, he insists he doesn’t know anything about the murder. But eventually he comes clean. He tells them what happened on January 13th. A few weeks later, he’s back at Homicide and his story has changed. In some ways, these changes are small and understandable. In other ways, they’re big and confounding. Adnan once issued a challenge to Sarah. He told her to test the state’s timeline of the murder by driving from Woodlawn High School to Best Buy in 21 minutes. It can’t be done, he said. So Sarah and Dana take up the challenge, and raise him one: They try to recreate the entire route that Jay said he and Adnan took on January 13th, 1999. 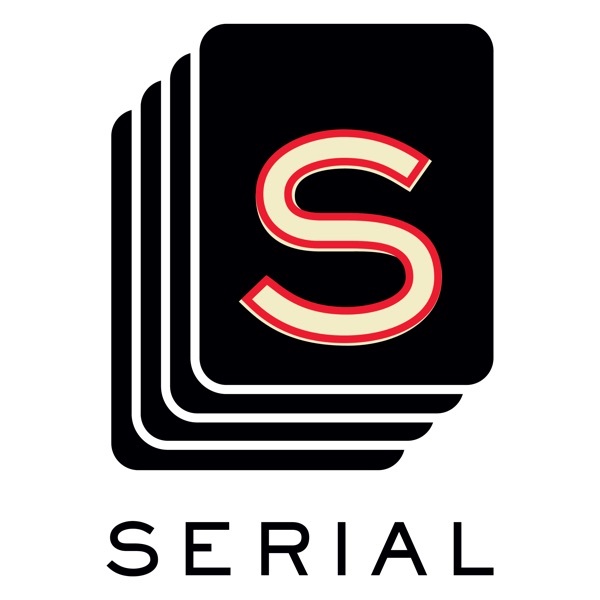 The physical evidence against Adnan Syed was scant - a few underwhelming fingerprints. So aside from cell records, what did the prosecutors bring to the jury, to shore up Jay's testimony? Sarah weighs all the other circumstantial evidence they had against Adnan, including curious behavior, a disconcerting note, and an unexplained mid-afternoon phone call. Adnan told Sarah about a case in Virginia that had striking similarities to his own: one key witness, incriminating cell phone records, young people, drugs - and a defendant who has always maintained his innocence. Sarah called up one of the defense attorneys on that case to see if she could offer any insight into Adnan’s case, and got much more than she bargained for. The state’s case against Adnan Syed hinged on Jay’s credibility; he was their star witness and also, because of his changing statements to police, their chief liability. Naturally, Adnan’s lawyer tried hard to make Jay look untrustworthy at trial. So, how did the jurors make sense of Jay? For that matter, how did the cops make sense of Jay? How are we supposed to make sense of Jay? New information is coming in about what maybe didn’t happen on January 13, 1999. And while Adnan’s memory of that day is foggy at best, he does remember what happened next: being questioned, being arrested and, a little more than a year later, being sentenced to life in prison. Adnan’s trial lawyer was M. Cristina Gutierrez, a renowned defense attorney in Maryland – tough and savvy and smart. Other lawyers said she was exactly the kind of person you’d want defending you on a first-degree murder charge. But Adnan was convicted, and a year later, Gutierrez was disbarred. What happened? Almost everyone describes the 17-year-old Adnan the same way: good kid, helpful at the mosque, respectful to his elders. But a couple of months ago, Sarah started getting phone calls from people who knew Adnan back then, and told her stories of a different kind of boy. February 2016: Sarah Koenig ducks back into the Adnan Syed case for a few days. There’s a hearing in Baltimore—a court proceeding that’s been nearly sixteen years in the making. Syed’s attorney will introduce new evidence, and present a case for why his conviction should be overturned. Sarah and producer Dana Chivvis will discuss what happens, day by day. In the middle of the night, Pfc. Bowe Bergdahl grabs a notebook, snacks, water, some cash. Then he quietly slips off a remote U.S. Army outpost in eastern Afghanistan and into the dark, open desert. About 20 minutes later, it occurs to him: he’s in over his head. On the move with Bergdahl, the Taliban slip past the U.S. Army’s massive effort to find him. During those days and weeks, each side is asking, what is Bergdahl worth to us? Bergdahl’s first year in captivity starts with an escape and ends with an escape. In between, he learns necessary, twisted lessons of survival. What's happening on the other side of the door? CIA, FBI, YouTube, the Portland PD? There was no handbook for getting Bergdahl back.